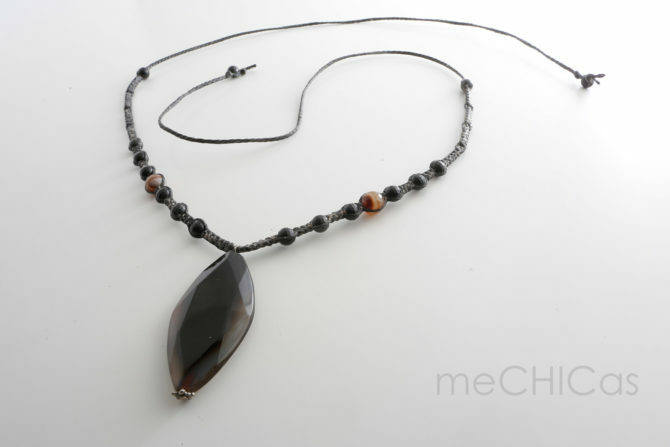 The pendant is made ​​of a faceted agate from Mexico, and is combined with stones of black onyx, and agate. 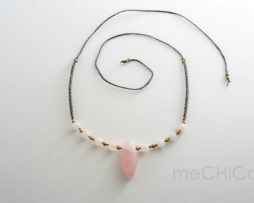 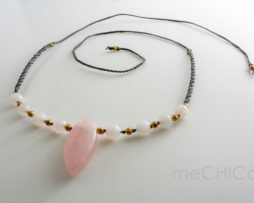 The pendant is made ​​of rose quartz, and is combined with beads of the same stone and brass beads. 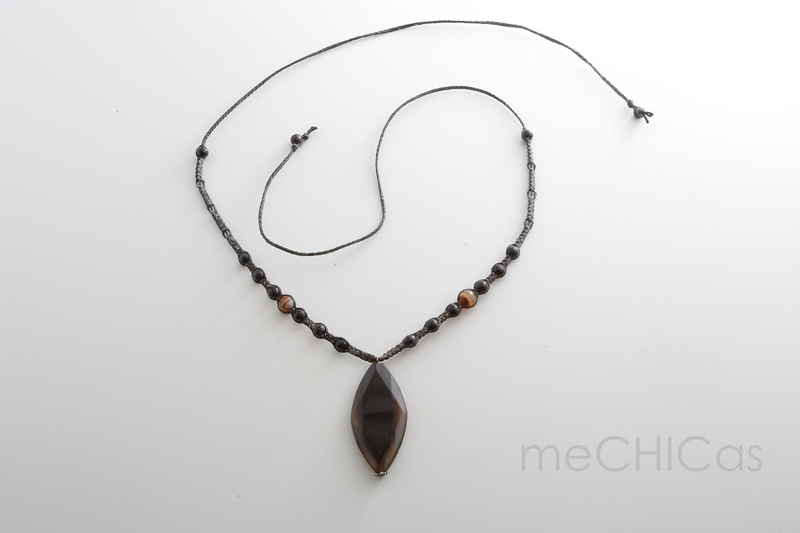 The pendant is made ​​of volcanic obsidian from Mexico, because of the drawing on the stone it's called tela araña (cobweb). 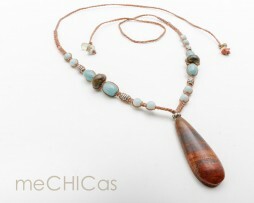 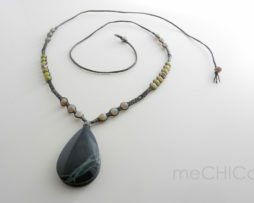 The pendant is combined with stones of labradorite and serpentine. 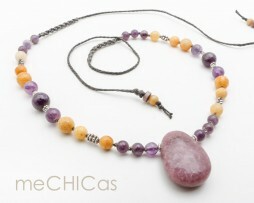 Beautiful necklace in yellow and purple hues. 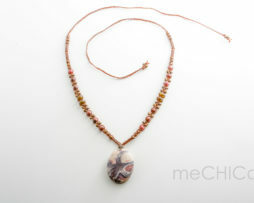 Hand-knotted with brown waxed rope. 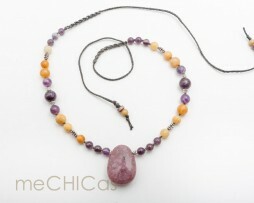 The pendant is a beautiful lepidolite, combined with amethyst and citrine, the necklace can be knotted in various lengths. 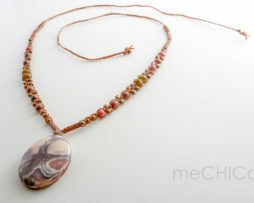 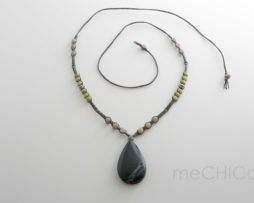 Beautiful necklace, hand-knotted with brown waxed rope. 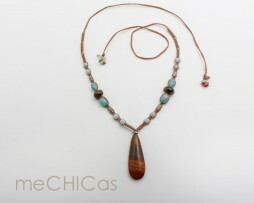 The pendant is a “piedra madera” a kind of petrified wood. 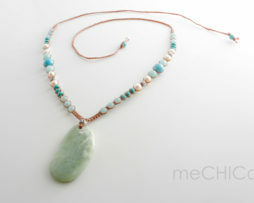 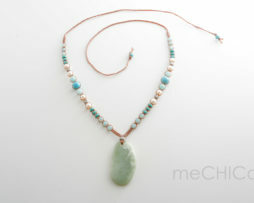 The other stones used are aquamarine, jade and labradorite, and the necklace can be knotted to various lengths.